1st of all we all need to know what is Offshore Hosting and is all Offshore Hosting Ignore DMCA complain or Not ? Answer: Offshore hosting is nothing but hosting your website, data or application to a far-off Datacenter location from your place of origin. There are many reasons for taking your hosting offshore, reasons like hosting copyrighted content, DMCA content , Hacking websites, adult content and warez hosting are few amongst them. Just wanted to confirm, is your reseller hosting service's server from Russia too? I don't see any RAM mentioned. 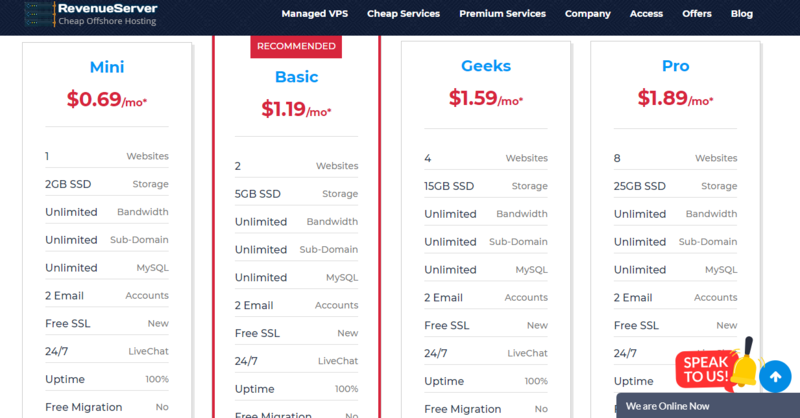 Can you tell us what the RAM specs are for the VPS offers? Further to Manal's inquiry, exactly where are you based? Looks as though you are trying to hide this as you're not very transparent about your primary location in the About page. Nor who the owners are of your business. To me that sends up red flags. I'd hesitate before I sign up. Quote: The laws of the State of Arizona and The United States of America apply. If you are hosting in our Europe or Asia division, the local laws of that location also apply. I get the picture that RevenueServer is based in the US (maybe not but that is what I read in the Terms and Conditions - the bad grammar and spelling mistakes indicate to me that your primary location is more likely outside the US) - so what happens when there is a conflict in the rules of the US or Russia/Asia? Which is easy to happen particularly when the FBI gets interested because of your geographic "offshore" situation.